Surviving the zombie apocalypse has never been so fun in this well-paced, cleverly-designed room. 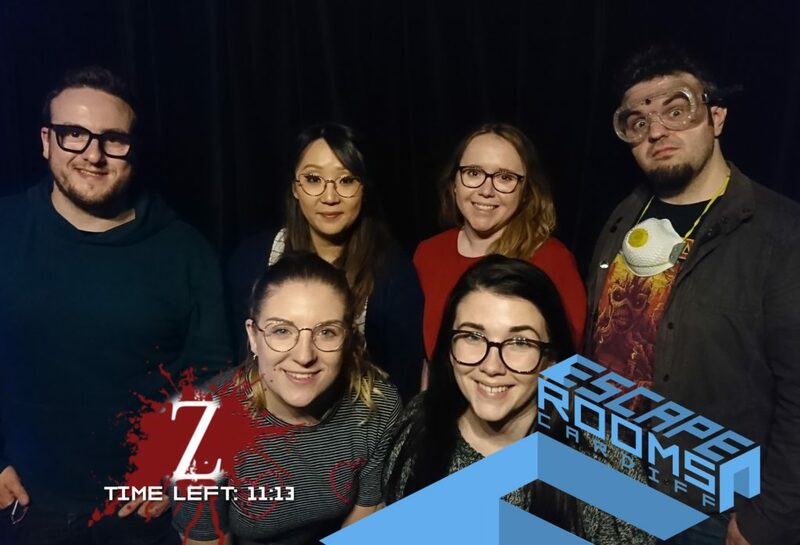 It was with high expectations and no small degree of confidence that we walked into Escape Rooms Cardiff to tackle Z. We’ve escaped each of their original three rooms in good time, and so we had a reputation to live up to. You guessed it – Zombies. You’ve managed to locate the safe house and medical unit of a zombie hunter. He’s abandoned ship and left the bunker’s defence system down. You have 60 minutes to get all systems back up and running. Otherwise, you are food. The room is split into two main sections, visible through a security gate. A third room was visible but inaccessible – it was there purely to add flavour and some puzzle elements. I was a little disappointed that this additional space didn’t form part of the overall puzzle, but I just like breaking into additional rooms. The room is what you’d expect from something out of the zombie apocalypse – blood-stained objects, weapons and a hefty dose of medical equipment. 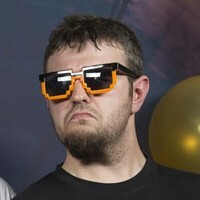 There are some dress-up opportunities too, so make sure you’re the first to grab those. The props were good quality and everything worked as expected. There were some electronics (which all worked well) but mostly the puzzles and props were analogue. The use of both sound and video in this room was well done and in keeping with the overall theme. There are a good mix of puzzles here. The lion’s share of locks come in the form of combination padlocks (standard fare), but there are some nifty electronic pieces that gave us a few “ah-ha!” moments. Here you’ll find a fun mix of room-searching, code breaking, lateral thinking and classic logic puzzles. The first puzzle in particular had us scratching our heads for a good 10 minutes before I figured it out and was kicking myself for a good while afterwards. The logic puzzle I found a little frustrating. There was no real way to ‘solve’ it, other than through trial and error or if you were familiar with this specific problem before. It took a few of us a good few tries before we’d cracked it. Puzzle progression was linear but it certainly didn’t feel that way as you’re building up to unlocking the security gate in order to get into the second room. There’s some very nifty use of tech in part of this room that required a little bit of lateral thinking – I’d not seen a puzzle like this in an escape room before, so it was a nice addition. There were one or two red herrings that I over-though about because of inconsequential details eg “this is plugged in so it must be a puzzle!”. Don’t fall into that trap. Hints were given to us via messages on a screen within the room. Before the first hint was given, we were asked whether or not we wanted to have them, which was a nice touch. Otherwise, the hints were only used when we had the puzzle solution to hand but made a small mistake. Escape Rooms Cardiff has expanded its space and taken over the ground floor. Not only has this given it space for the new rooms, but also for an expanded briefing area and foyer with lockers for our stuff. One nice addition was that we all put in our contact details in before the game started. Then, right after we left, we were emailed with our team photo that had our remaining time stamped on it (below). This was efficient and a great way to end the experience as you’d usually wait a couple of days for the photo to be posted online. Hell yes we escaped! We got out with 11:13 left on the clock and used three hints (although in our defence, one of those hints was “look down”). The room caters for up to 6 people, but I’d recommend 3-4 as a good number. This is mostly down to the size of the room – at one point all 6 of us crammed into a small space to check out a clue, which was a little ridiculous. Z has established itself as a fine addition to Escape Rooms Cardiff’s repertoire. It’s slick, it’s well-designed and has a good puzzle diversity to keep escapists engaged. There are fewer cinematic moments here than in the other Escape Rooms Cardiff games, but the enjoyment of their innovative puzzles makes up for this. Images belong to Escape Rooms Cardiff and are used with permission.